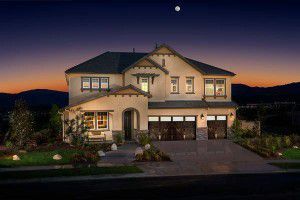 Lexington and Charleston new home developments offer larger, executive style homes for growing families in Santa Clarita. In May of this year, Newhall Land & Farm, Santa Clarita’s premier developer, launched another phase in their ongoing development of quality neighborhoods designed for Santa Clarita home buyers. 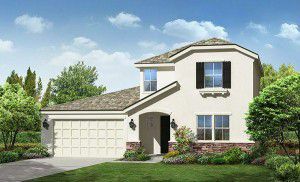 RiverVillage, located near the Golden Valley Cross Connector in Santa Clarita, is comprised of two separate developments (Lexington and Charleston), and is currently in the building stage; offering great new homes to qualified home buyers. These two developments offer buyers eight different single family residence models to choose from. Built by Lennar Homes, Lexington at RiverVillage gives home buyers a choice of 5 different models ranging from 2,986 to 3,820 square feet. All plans are two story, single family residences ranging form 3 to 5 bedrooms, with a variety of amenities in each. Price range starts in the mid $600,000’s. KB Home is now offering three unique models available in Charleston at RiverVillage. Each model is a two story style that are larger than the homes offered in the Lexington development, ranging from 3,777 to 4,715 square feet. No less than 4 bedrooms can be found in any model, and can have as many as 6. Charleston homes are also solar powered, and have many upgraded features that are standard with each home. Montemayor & Associates are your new home experts! We are experts in new home and resale residential properties. If you’re considering buying a new home, we can help you find out which home is right for you, and help guide you through the process as well…at no extra cost to you! Contact us at either of the numbers listed at the top of this page, or send us a message using the quick response form below.